The Real Estate Law practice group of Davidoff Hutcher & Citron represents a wide range of clients in virtually every kind of real estate matter. We provide our clients with a range of services related to the purchase, sale, leasing, development, financing, joint venture, use, and management of real property. Our real estate lawyers function as leasing lawyers, acquisition lawyers, real estate litigation lawyers, construction lawyers, real estate financing lawyers, and landlord-tenant lawyers. Our clients include property owners, purchasers, developers, investors, lenders, construction companies, architects, and real estate brokers. Our real estate clients benefit from our government relations expertise and our extensive network of contacts in all areas of government and the private sector. Our New York Real Estate Law group works closely with our clients to provide first rate service from the inception of a project to its conclusion. We engage in all legal aspects of a matter, which may include structuring an ownership vehicle, dealing with the counter-parties, advising our client on due diligence, land use and development issues, as well as advising them on financing options. In each matter we seek to accomplish our client’s goals as efficiently and effectively as possible. When our clients become parties in real estate litigation we represent them in all trial and arbitration venues. We routinely try cases in New York State and federal courts, landlord-tenant courts, as well as in arbitration forums such as AAA. We prepare our cases to win them, even if our client’s objective is to settle, because we know that our client’s best settlement opportunity will come from meticulous trial preparation and aggressive advocacy. Property acquisitions and dispositions are a mainstay of the firm’s real estate practice. Our real estate practice group handles commercial and multifamily real estate transactions both large and small. We have represented parties involved in varied asset classes, including hotel projects, office towers, shopping centers and stores, as well as multi-family buildings owned for lease or as condominiums or cooperative housing corporations. Our real estate practice group represents buyers and sellers of industrial properties and warehouses, frequently in connection with governmental incentive programs that provide real estate tax abatements and other advantages. Our real estate lawyers represent parties on all sides of lease, sublease, and license transactions, for all types of premises and for varied purposes. We are as comfortable with the lease of a major shopping center as we are with a small office lease. Our lawyers prepare and negotiate development ground leases and leases of air space. We recognize that leases carry a variety of business and legal issues which can be minimized with astute analysis, careful negotiation and appropriate risk allocation. Our group has the experience, market knowledge and business acumen to help clients sort through the difficult issues which arise when leases involve complex construction and development issues. Our real estate lawyers draft limited partnership agreements, limited liability company operating agreements, and corporation shareholders agreements to assist developers and joint venture partners who provide equity capital for real estate ventures. We are familiar with the laws which concern plans for the public offering of real estate securities such as homeowners associations, condominiums and cooperatives. We represent sponsors and the boards of cooperatives and condominiums. The real estate law practice group advises property owners, developers and prospective real estate buyers on zoning and land use, with special attention to strategies that maximize the value of a property. We assist our clients in the process of as-of-right development, as well as the filing of applications and representation in administrative hearings to acquire air-rights transfers, special permits, variances, zoning and land use changes, and other regulatory matters with government agencies often necessary for real estate development or use. The group’s expertise and strong relationships in local jurisdictions are used to help our clients obtain required approvals, such as variances, special use permits, wetlands permits, and subdivision and/or site plan approvals. Our New York real estate lawyers help to expedite the public review process so that our clients’ real estate development projects meet their construction schedules and cost projections. Our clients depend on us when they need a real estate lawyer experienced in construction law for the negotiation and drafting of agreements involving construction contractors, architects and engineers. We represent financial institutions who lend on the security of real estate, and property owners who finance their properties. Our financing experience includes acquisition financing, construction and project financing, and financing of equity positions. Our clients, whether borrowers, investors or institutional lenders, benefit from the experience of our real estate lawyers in drafting and negotiating loan transaction agreements for traditional single-lender deals, as well as for syndicated mortgage loans, bond and public finance loans, mezzanine financings, and credit tenant financing. Because we represent a number of commercial lending institutions, our real estate lawyers can be instrumental in helping clients obtain real estate financing for their acquisitions and development projects. We also advise our clients on matters of debtor and creditor rights and enforcement during bankruptcy, mortgage foreclosure, refinancing, restructuring and workouts of troubled real estate loans. 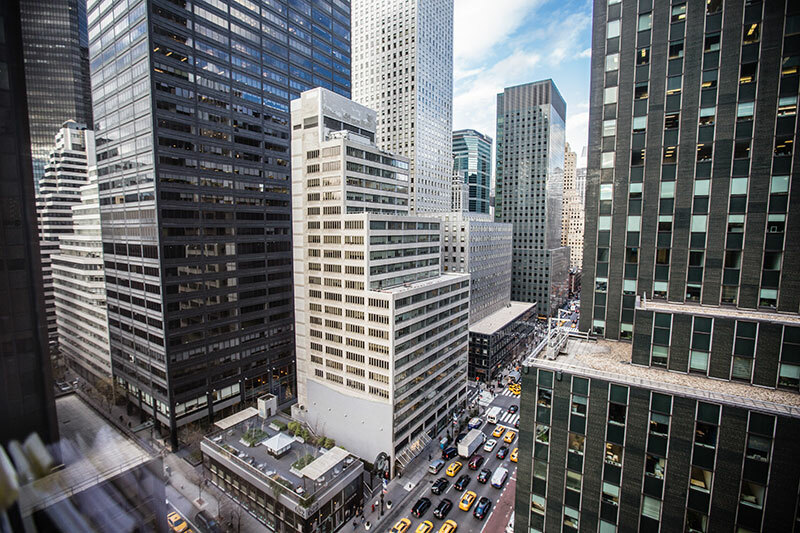 DHC’s Real Estate Law practice group has the ability to take a New York real estate project from start to finish. We pride ourselves on our ability to overcome hurdles and get transactions closed. The high quality of our work on sophisticated real estate litigation and transactions has given us a reputation as a firm that achieves results and drives referrals to our door.